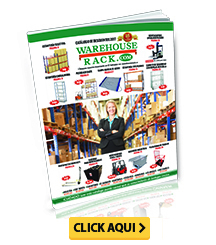 Devoluciones y Garantías : Warehouse Rack Company, Inc. Merchandise returns accepted within 30 days of delivery with prior written approval from Warehouse Rack. 20% restocking fee plus freight cost applies to all approved returns. If your order arrives incomplete or damaged please state the details of the defect on the bill of lading PRIOR TO SIGNING THE BILL OF LADING. A freight claim cannot be filed if the bill of lading does not state damage or missing goods. Shipping and handling charges are non-refundable for all returns. Most manufacturers whose products we sell provide warranties. Ask your salesman for the specific warranty of the new item you are buying. Used goods are sold as is where is no warranty expressed or implied. In no event shall Warehouse Rack or any of its subsidiaries or affiliates be liable for indirect, special, incidental or consequential damages including but not limited to loss of use, loss of data, loss of business or profits. Some states do not allow the exclusion or limitation of incidental or consequential damages, so the above limitation or exclusion may not apply to you. Except as specifically set forth herein Warehouse Rack makes no warranties, expressed or implied, and disclaims all other warranties, including without limitation implied warranties of merchantability, fitness for a particular purpose, and conformity to models or samples. Some states do not allow limitations on implied warranties so these limitations may not apply to you. The warranties set forth herein give you specific legal rights and you may have other rights that vary from state to state. Prices and quotes are subject to change without notice. 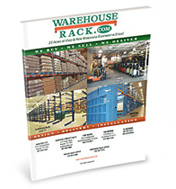 Warehouse Rack Company is not responsible for typographical errors.